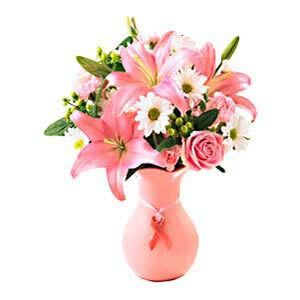 Presenting a collection of pleasant looking flowers decorated in a vase.This collection consists of 2 Stems of Pink lilies and 6 Pink roses and 6 White Daisies set amongst of green leaves and seasonal flowers. 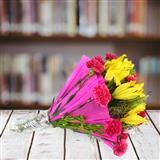 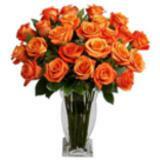 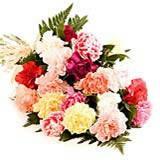 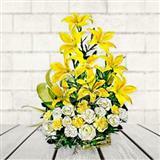 Thus, send this bunch of flowers to your dear counterpart in all cities in India. 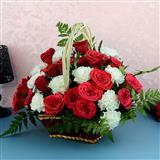 However, you can also send other Gifts across India through GiftsAcrossIndia.com.